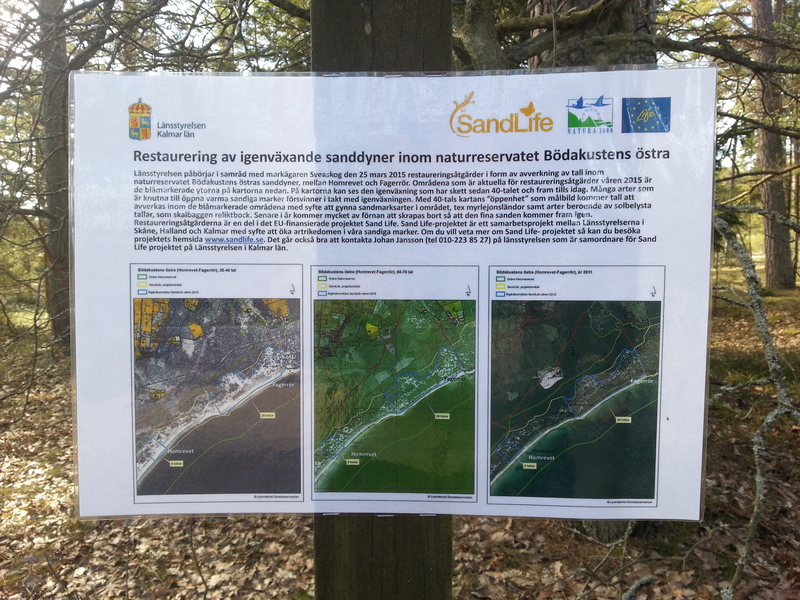 When visiting the sites included in Sand Life there will be one or more signs informing about the Project and the actions, the site and the species and habitats. In some site, site specific signs ara also put up, with more information about the particular site. Before each restoration action, temporary information signs has been put up to inform the site visitors about the comming or ungoing actions. Here a sign at Bödakusten östra informing of the clearings in 2015.